Please share it freely and spread the news of what the parents of the missing Nigerian school girls have to deal with. The parents of these over two hundred innocent school girls that were ruthlessly kidnapped by the Boko-Haram Islamic sect. now have to deal with not only the reality of their missing daughters and the limitless possibilities of things the menacing murdering Muslim sect. 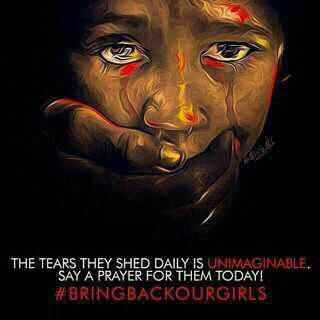 Boko-Haram; who have loudly and visibly claimed it has taken the girls, can do with their daughters.